The Internet of Things (IOT) has arrived. Though we are still just seeing the beginnings of the IOT, already things such as cars, household appliances, cars, and personal health devices are capturing and storing data on a round the clock cycle. 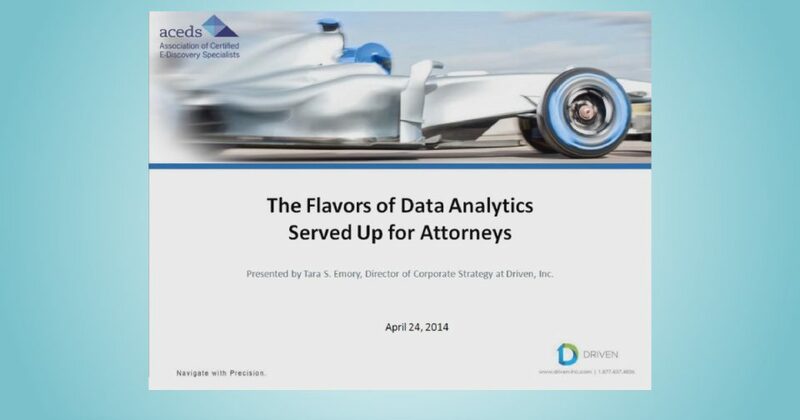 Data Analytics is frequently described as a “black box.” How can non-technical attorneys understand competing technologies that involve complex algorithms and an alphabet soup of flavors that includes LSI, PLSI, SVM and others? 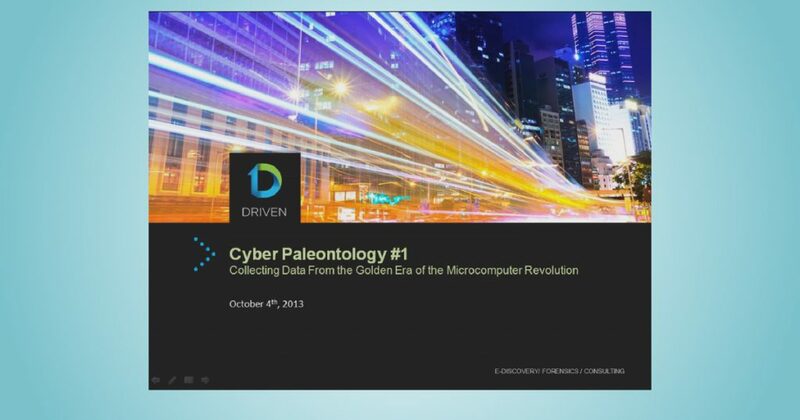 This webinar addresses the techniques, challenges and potential pitfalls when dealing with the rare, but sometimes vital, scenario of collecting data from early microcomputers. We deal with the era from approximately 1978-1989 and the systems in use at that time. Preparing and Dealing with B.Y.O.D.